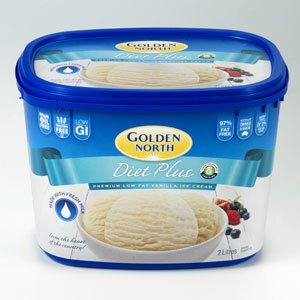 Golden North Diet Plus Vanilla is specifically design to be suitable for people with Diabetes, whilst still tasting delicious. The product was tested by the University of Sydney and officially classified as low GI. 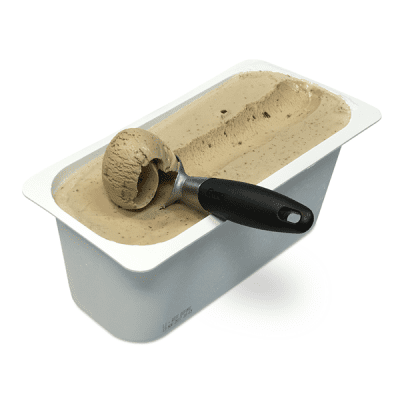 Available in a 2 litre tub. 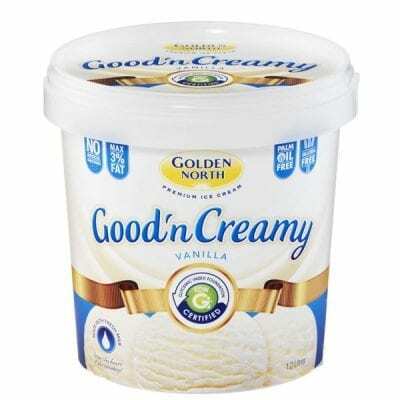 Premium Vanilla ice cream made from fresh milk and cream. Shelf life 2 years from day of packing. Store at or below -18° Celsius. Ingredients: Fresh Milk, Milk Solids, Maltodextrin (from Maize), Fructose, Oligofructose, Inulin, Stabilisers (466, 460, 412, 407, 471, 433[Soy]), Flavour, Flavour Enhancer (951). Contains Phenylalanine. 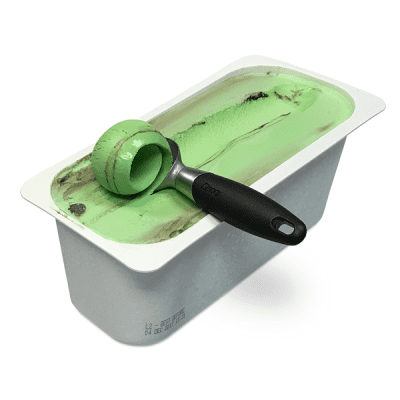 Milk Fat in Ice Cream 3.0% Maximum.